Top Marks is the uniform supplier for O'Gorman High School. Policy requires that students be properly outfitted in school uniform each day. 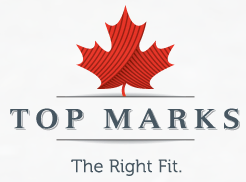 All tops and bottoms must be purchased through Top Marks. Students are required to wear uniform attire as outlined under Dress Days for all assemblies. School uniform is to be worn on school trips and during all activities outside of the school when representing Aurora School. Any exceptions will be noted by the teacher or teachers sponsoring outside events.